American Queen was built in 1994 by McDermott Shipyard and launched in 1995. 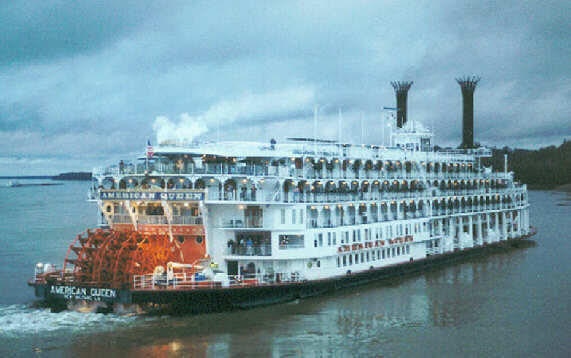 She is 127.4 m (418 ft) long and has a displacement of 4,891 tonnes , making it the world's largest paddle-wheeled riverboat. It is propelled by a 45-tonne (99,200-lb) paddle wheel that is 9.1 m (30 ft) wide and 8.5 m (28 ft) in diameter, and travels the great North American rivers such as the Mississippi and the Ohio.